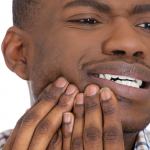 When Your Paycheck Only Stretches so Far, the Cost of Dental Work May Seem Prohibitive. Check out These Affordable Options for Dental Services. For many families in the Philadelphia area, dentistry might seem like a luxury service. Sometimes it can be hard to keep up the recommended annual or biannual visit to the dentist–even when it’s for an emergency treatment! However, long-term neglect has serious consequences for your oral health. 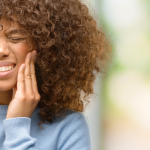 When you don’t get the treatment you need early on, it’s easy to develop tooth decay and gum disease, which may progress to become a dental abscess or periodontitis. 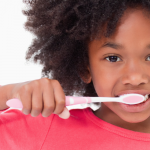 Unresolved oral health concerns keep thousands of children from going to school and parents from work every year. If you are struggling to take care of your basic oral health needs, remember that there are resources available. Penn Dental Medicine knows that many families struggle to afford basic dental and health care, which is why we’ve put together this guide to inexpensive dental work. We want to make clear that our guide is about finding affordable dentistry, not “cheap” dental work. While “cheap” may be synonymous with “inexpensive,” it also carries the connotation of being sub-standard. That’s not the type of dental work that anyone needs! At Penn Dental Medicine, we offer inexpensive dentistry that meets all the same high standards of the University of Pennsylvania School of Dental Medicine. Don’t settle for a provider that offers less than quality care. Even if you’re struggling financially, there are options for you. Remember that your long-term well-being is affected by your oral health. Did you know that every state has a number of low-cost dental clinics? Some dentists charge on a sliding scale, which means that rates are adjusted according to income. The Bureau of Primary Health Care supports federally-funded community centers across the country that offer reduced-cost health and dental services. You can also call your local hospital to find out whether it oversees any community dental clinics in the area. The American Dental Association has a map where you can check on dental clinics and other organizations that provide access to dental care. Medicaid provides medical benefits and sometimes, dental benefits. Depending on your state, Medicaid may cover emergency dental care. For most individuals under age 21, dental services are covered by Medicaid. CHIP, the Children’s Health Insurance Program, provides healthcare for children under 19 who do not have insurance. Dental services are available in many cases, but again, this may vary from state to state. The National Institute of Dental and Craniofacial Research sometimes provides low cost dental care to individuals who consent to participate in a research study. This option for inexpensive dental work largely depends on whether you have a condition that NIDCR is currently researching. It also depends on whether you qualify to participate in that particular study. Maybe you’ve heard that you can get “cheap” dental work at dental schools, but the reality is that a dental school can provide superb yet inexpensive dental services. Dental schools have a primarily educational purpose, and transfer the discount to the patient, making this an excellent option for people looking for a trustworthy and affordable provider. In exchange for your willingness to spend a little extra time at the clinic, you can get the affordable rates offered at a dental school. 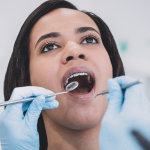 Procedures are overseen by professors, who are professional dentists, and performed by students, so they often take more time than they might at a typical dental office. But because the work is being overseen by leaders in the field, the quality of care received is never compromised. Penn Dental Medicine is a leader in the field of dentistry that provides care to many patients in Philadelphia each year. Our comprehensive care services mean that once you come to PDM, you won’t have to be referred elsewhere! For us, comprehensive service means dental care that covers a wide spectrum of services and for all ages. Whether you need routine dental services, root canal therapy, restorative dentistry, pediatric dentistry, orthodontics, or another type of dental service, you’ll find it here. And most important, you’ll find that it’s inexpensive. Visit your local dentist at Penn Dental Medicine and enjoy the best affordable dentist in Philadelphia. For more information on how to become a Penn Dental Medicine patient, please call our offices at 215-898-8965.